Purveyors of epic power metal, like Rhapsody of Fire or Fairyland, better start looking over their shoulders. From Finland, here comes the upstart metal band Epicrenel with their first album, The Crystal Throne, a fine debut and addition to the power metal genre. 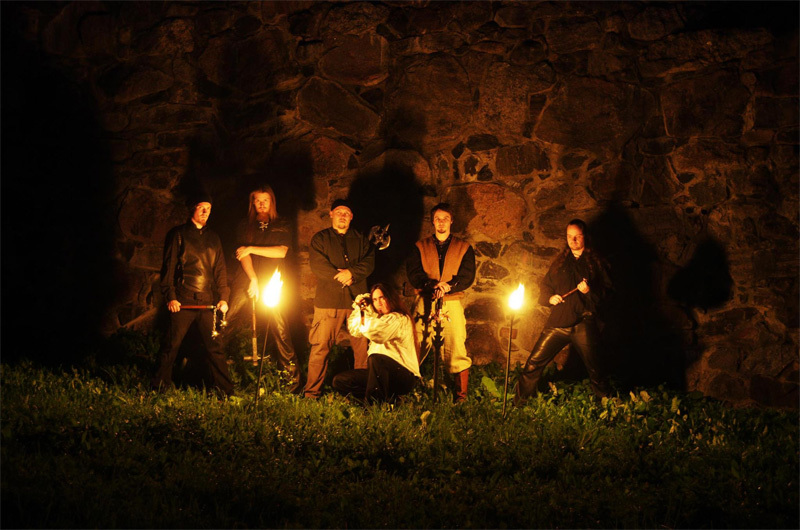 Excusing their nearly unpronounceable band name, Epicrenel has all the elements for epic and symphonic power metal: galloping speed, grand guitar and keyboard solos, and clean passionate vocals, all awash in lush and extravagant arrangements. If there's a signature song that presents all this it's definitely the instrumental Skyride. It blisters along at breakneck speed peppering your ears with tag team guitar and synth solos. But this formula is basically the pattern throughout. 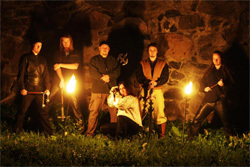 The following Defenders of the Crown and the earlier To Cursed Lands Again, by example, repeat the formula, only adding vocals to arrangements. While this may suggest some redundancy (and you may be right), Epicrenel does try to mix things up with minor tempo changes here and there. Then a song like Conquering the Throne has a more broadly symphonic character with a more diverse arrangement. Conversely, The Fantom's Grove seems heavier than most other songs, having a near thrash, but melodic, thrash metal feel. Whether these subtle nuances are enough to allow the band to break out from the epic power metal pack is yet to be seen. 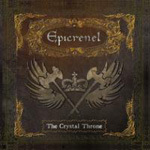 However, if you like your traditional power metal speedy, bombastic, and generally outrageously epic, then you'll like Epicrenel's The Crystal Throne. Recommended. If you like your traditional power metal speedy, bombastic, and generally outrageously epic, then you'll like Epicrenel's The Crystal Throne.